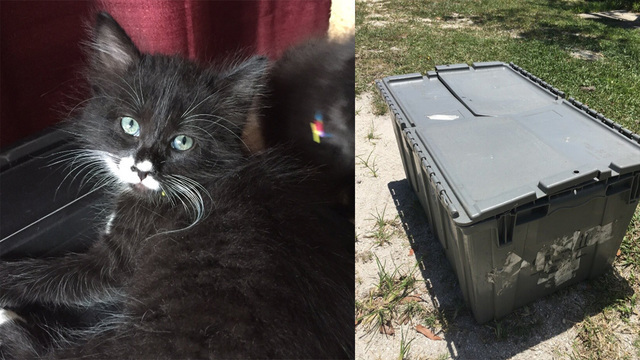 Nine kittens, being kept inside a storage container with no ventilation and in temperatures over 100 degrees were surrendered to the Southeast Volusia Humane Society, prompting staff to go immediately into rescue mode. “Some of them were laying so still on their side I was afraid we were going to lose them,” Karen Morgan, director of the organization told Fox 35 News. Hydration began immediately with the tiny survivors also being wrapped in wet towels to cool them off. Thankfully, all the kittens revived and are now with a foster mom with many people in that area already calling to inquire about adoption. The man who surrendered the litter did so willingly, stating he had found them, and staff has reported the incident to authorities. However, their primary focus is only making sure the kittens are healthy and find forever homes.